Azimut 46 in great condition, powered with CAT engines, 3 cabins layout. 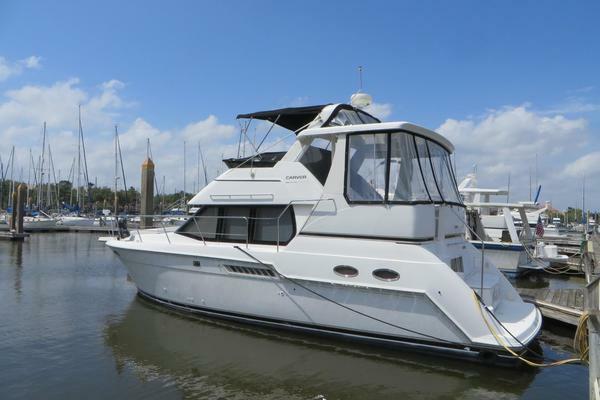 West Florida Yachts would love to guide you through a personal showing of this 45' Azimut 46 2001. This yacht for sale is located in Menton France and priced at $170,000. For a showing please contact us by filling out the form on this page and we will get back to you shortly! Mediterranean colors and gentle curves define the feel of the Azimut 46. The elegant dining area has a handy bar unit nearby, and the galley is both highly functional and fully equipped. The walk-in wardrobe is the epitome of the luxury of this megayacht. The owner's stateroom enjoys unequaled luminosity thanks to two skylights built into the deck. The VIP cabin comes with an option of double or twin berths, at the owner's request.